According to the Minister, operations along Australia’s coastline and in the Indo-Pacific will require Australia’s future frigate to ‘have the range, endurance, sea-keeping qualities, survivability and weapons load-out to support prolonged operations throughout our substantial region and, when called to do so, globally’—which will include offensive, defensive and self-protection systems. 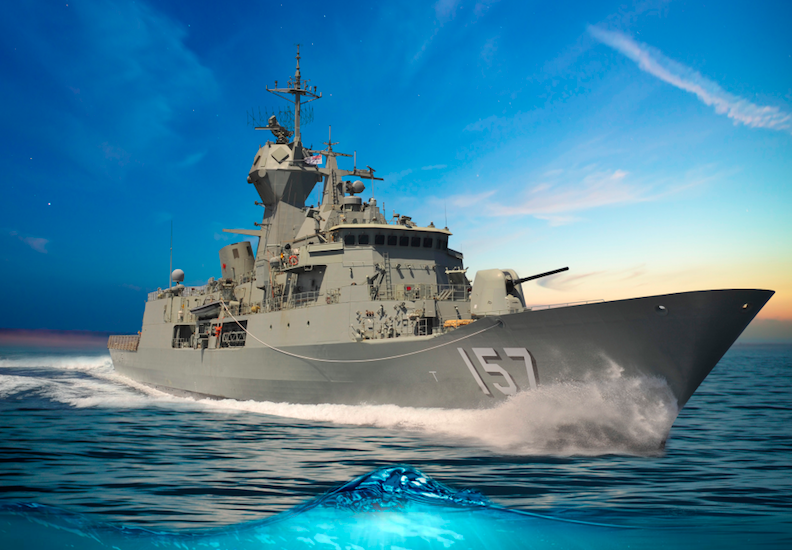 In response, Shadow Assistant Minister for Defence David Feeney stated that by admitting that the inevitable loss of skills and jobs in the Australian shipbuilding industry, Andrews had ‘thrown up the white flag’ on bridging the Valley of Death. According to Andrews, Australian taxpayers pay a ‘price premium’ that is at least 30 to 40% greater than US benchmarks to build naval ships in Australia, and thus, that ‘the price premium was too high to make good economic sense’, and ‘too high to enable a continuous build strategy to be adopted’ in the absence of a big lift in productivity. In contrast, Feeney expressed his concerns about the numbers of Australian employed in the shipbuilding industry falling dramatically by 2016 should the continuous build strategy not being adopted. Andrews reiterated throughout his speech that the Coalition doesn’t want to see the Australian naval shipbuilding industry disappear, with further details to this effect to be provided in the upcoming naval shipbuilding plan and the 2015 Defence White Paper—the latter document to include more details on the commencement of construction, the rate at which construction will take place and the structure of the industry that will be required to support this program. Rather than postulating on the possibility of an Australian build like Andrews, Feeney stated that his firm belief in an Australian build had foundations in history, that is, ‘we have done it before’. However, both politicians reiterated the importance of a modern fleet in the context of Asia-Pacific geopolitics, with Feeney referencing the Antarctic and the Asia-Pacific, and Andrews asserting that by 2030, approximately 300 submarines are expected to be operating in the Indo-Pacific region. To engage with other debates across the two days of the ASPI Future Surface Fleet conference, be sure to follow ASPI on Twitter at @ASPI_org  and use the conference hashtag #FSFleet15 . Amelia Long is an intern at ASPI. Image courtesy of SAAB Australia.